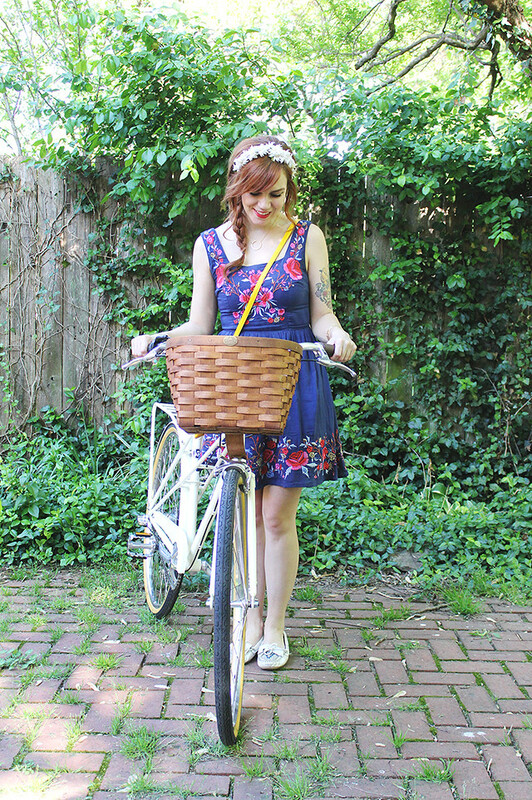 Skunkboy Blog: Weekly Wears: Bike Time! 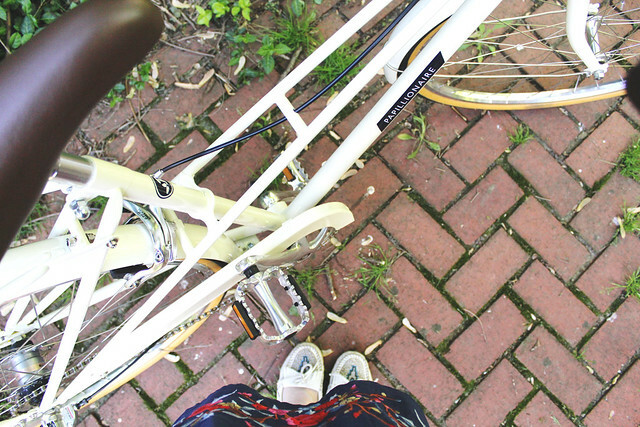 It's officially time to pull out the ol' bike and enjoy the fresh air! Actually, this is not an old bike, but a new one from Papillionaire. I'm pretty much smitten with it. I'm a sucker for vintage bikes, but all of mine have come with their fair share of problems. 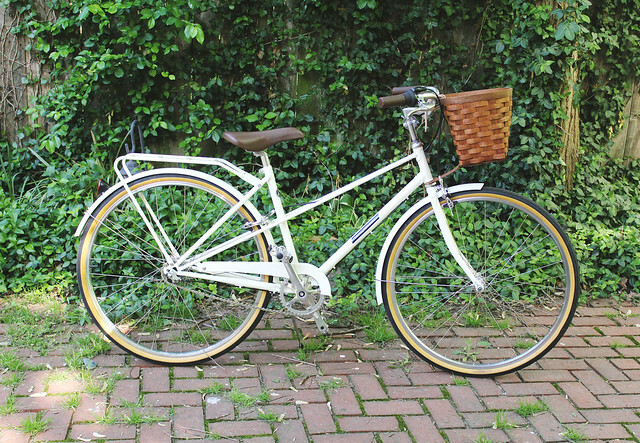 This bike, though-- it's beautiful AND has no issues. IN LOVE. Now, I'm off to invest in a ton of bike shorts! Happy Monday, friends! 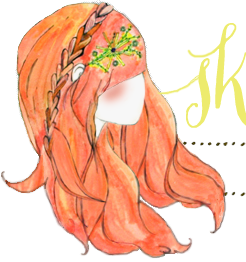 **Special thanks to my sweet pal, Jacki, for letting me take pictures in her lovely back yard! I love this dress! 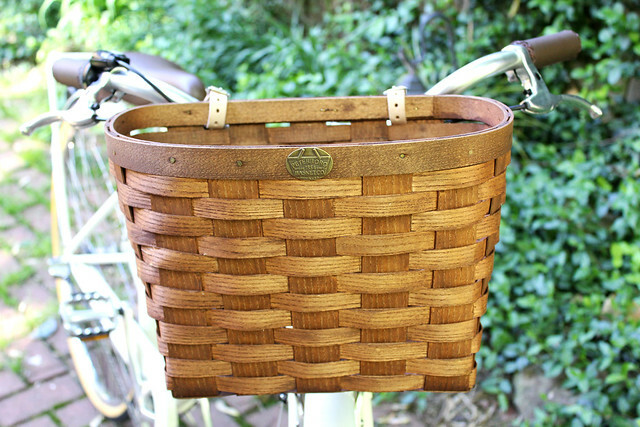 And your bike basket is pretty cool too. Love your bike :) practical and fun. 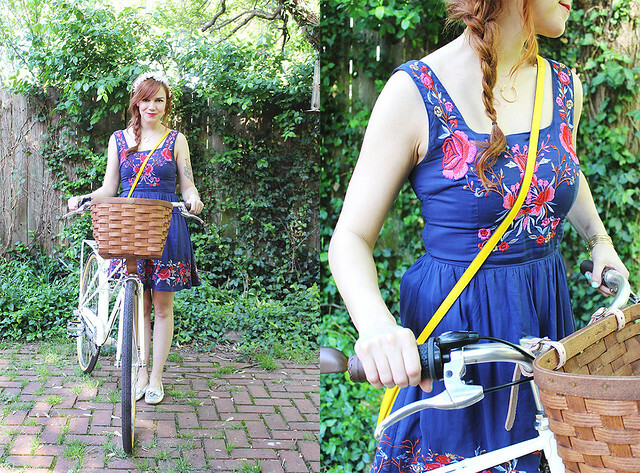 This is the kind of bike I'd like :) I love your dress too :). My fiancée just bought those shoes for me for my birthday! After seeing them in a post blog post of yours, I kept them on my wish list. I love them, but one question: how do you keep them clean? I have only worn them a few times and they are already browning on the seams. I try to rub mine down with an extra soft bristle toothbrush periodically. My seams are still a little brownish, but they don't look bad at all! This outfit is beautiful! 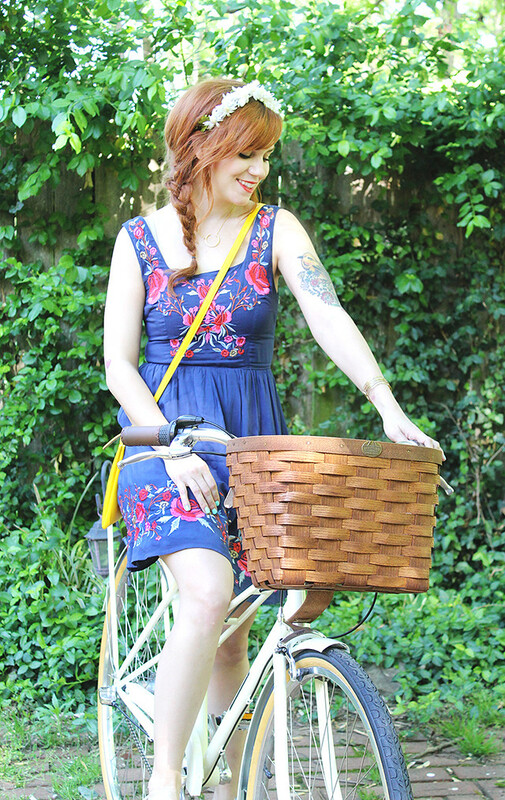 I wish I lived somewhere that the weather was nice enough to have a cute basket like that. It wouldn't last long in Phoenix, AZ. I love your dress, it's gorgeous. I have that dress too!!! 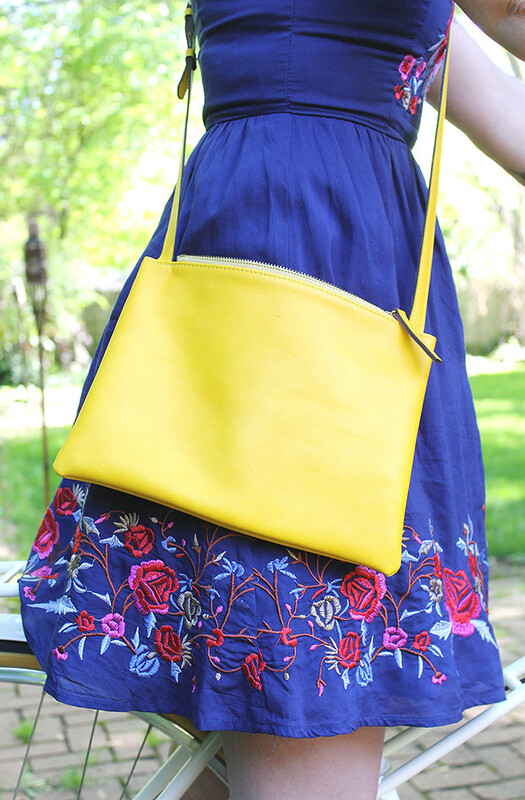 I love how you added the pop of yellow with the bag:) you are darling.